Merry Christmas to you all. I’m off to Cornwall for a few days. My reading list consists of 39 steps and Greenmantle by John Buchan, Black Cherry Blues by James Lee Burke and a couple of inspector Zhang short stories by Stephen Leather. I picked John Buchan because he’s supposed to be the world’s first thriller author and I hope to learn something from the master. I’ve seen two of the 39 steps films so that may influence my reading of the book. That’s why I’ve added Greenmantle as well. I’ve never heard of James Lee Burke but a colleague recommended him to me so I thought I’ll give him a try. 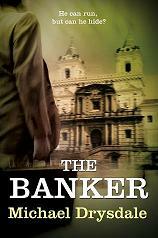 Stephen Leather is another thriller author new to me, so I’ve added him to my list.